Every person modern day lifestyle has busy in his works, but at the same time cleaning is equally necessary for the germ-free healthy environment. House is our, the most important need, and house cleaning is therefore our most important job and responsibility, if not done well, it will make us sick. House cleaning involves sweeping floors, dusting furniture and others surfaces, washing floors, polishing surfaces and scrubbing or mopping tiles. House cleaning is not hard, it is easy. For making it easy use various house cleaning tools available in the market. Cleaning tools and equipment are specially designed for each stage of the house cleaning process & they are simple both in design and use. The main purpose of all cleaning tools and equipment should be to help you to make your home cleaning quick, easy with minimal effort. Here we give you list of some important house cleaning tools. But, first buy storage box with a handle, which you can use for carrying and storing house cleaning tools and equipment. Every house should have a broom for cleaning any hard surfaces like tile, wood, cork and concrete etc. Brooms are specially designed for both indoor and outdoor area cleaning. Broom should be such that like it is not harmful to your back, it is dust free, mechanical advantages has maximum i.e. dust particles should not harm while cleaning also it is cost effective. Broom bristles are very flexible, so you can easily reach corners with minimal effort. Broom has a larger head and it can cover more area in shorter time. Broom handles can be made from wood, plastic or nickel or plastic or wood or steel and many others. In the market, several types of brooms are available such as Soft Broom, Hard Broom, Long Handled Broom and each is serving a specific purpose. Microfiber cloth is mostly made of polyester, nylon. Unlike cotton, Microfiber cloth is the best choice for dusting because they grab and hold a ton of dust without releasing dust into the air. 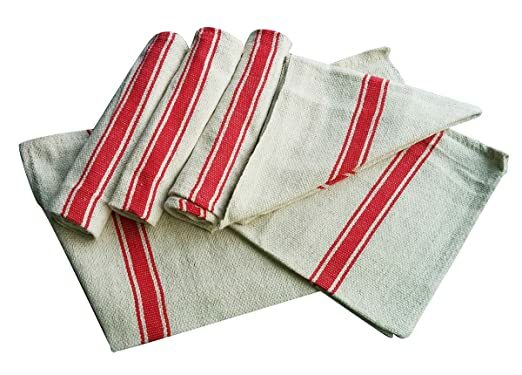 Microfiber cloths are best for clean any surfaces without any scratch or leave streaks behind. It can use for cleaning glass and mirror, wet/dry mopping floor, kitchen countertops and stovetops, bathroom sink, tubs & shower etc. Also Read: Clean your Bathroom Faucets to make it Shiny Again! Floor cleaning cloths are bigger, thicker and made of a coarser cotton material for home cleaning. They are used to wipe W.C. pedestals, tile, marble or granite floors and remove spills from floors, etc. Broom is used for sweeping dirt and dustpan is used for picking up dust and dirt easily. It is also helpful for quickly cleaning up any spills. Dustpan is made with plastic or stainless steel materials with a variety of shapes & sizes, and it is also available with long-handled. Chamois leather is the skin of a chamois goat. It is used for removing dust, smudges, cleaning furniture, fingerprints and other household dirt’s & grime. 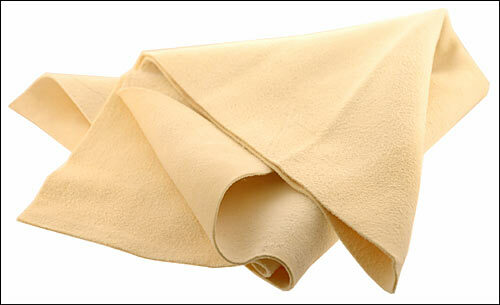 The chamois leather cloth is best for cleaning windows and mirrors for giving beautiful shine on the window panels. The cloth and sponge are not always going to work, so keep a bristle scrub brush on hand to use for tough stains. Scrub brushes are great at cleaning the floor and walls of bathtub or shower, and also used for clean sink and grout on the tile floors. Various types of brushes are available like hand floor brush, floor brush, soft floor brush & bottle brush etc. The bucket is not just used for carrying water, but it can also use for cleaning purposes for mopping and other multipurpose uses of house cleaning. It is mostly available in plastic or steel or metal with a variety of shapes and sizes. Many years ago we used to clean our floors with our hands. But nowadays the mops are used making mopping task much easier. 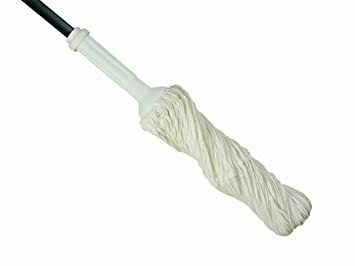 The mop is a piece of cloth, yarn or other absorbent material which can be attached to a pole or a stick, to produce a more mechanical advantage. 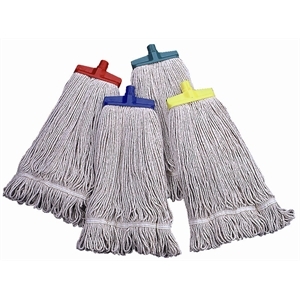 Like the broom, there are different types of mops available in the market which includes string mop, dry mop, impregnated dry mop, disposal dry mop, sponge mop, Kentucky mop, spring mop and self-wiring mop etc. for home cleaning. They all are used for many types of hard surface flooring cleaning. Sponges are used for cleaning kitchen and bathrooms. It is also used for cleaning and washing walls, glass, woodwork and upholstery. There are a large variety of sizes and shapes of sponges available in the market for different purposes. Keep a spray bottle in your hand if you ever need to rinse something off with water. When you finish taking a shower then quickly spray down the walls, glass cabin and use a squeegee to wipe off the excess water. It helps to keep them clean so that soap scum doesn’t build up and also cleans hard water. It is also used for cleaning windows and mirrors for getting rid of smudges, marks & water vapour. Dusters are mostly made of soft cotton, flannel or artificial feathers mounted on a stick. 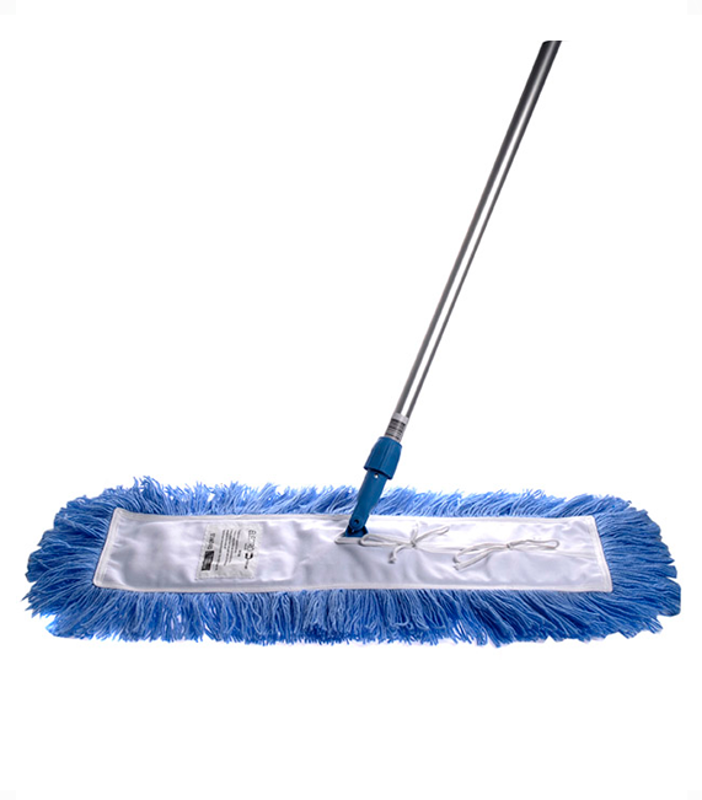 They are used for cleaning dust and wiping various surfaces. 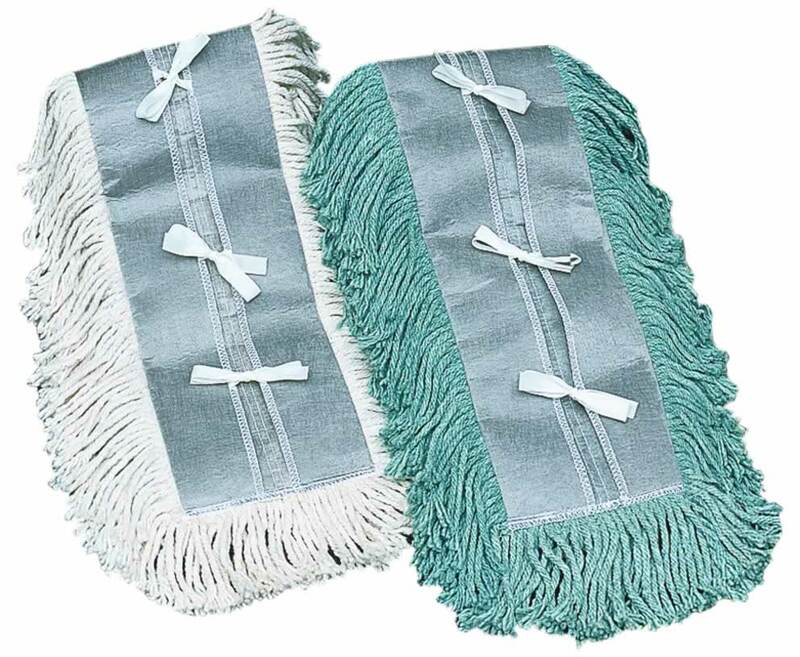 Different types of dusters are available such as; Extendible Lambswool Duster, Microfiber Duster, Ceiling Fan Duster, DustTamer Bendable Extendable Duster, Feather Duster, Static Duster, etc. used for home cleaning. Rubber gloves are used for protecting your hands while cleaning, especially when using acid-based cleaners or else you suffer from skin sensitivity. The vacuum cleaner is expensive home cleaning tool, but it is becoming popular. The vacuum cleaner is used for both hard and soft surfaces, such as carpet, floors, walls and upholstery. They make cleaning simple & easy, and also save time. Note: Always keep your cleaning equipment in good condition otherwise; you will need extra time getting it back into shape. Always clean equipment before you put it away, and properly store in dry place. Cleaning tools and equipment decrease your hard work and are also helpful for cleaning corners or edges which are not easy to reach. The cleaning tools easy to use and thus save your time.